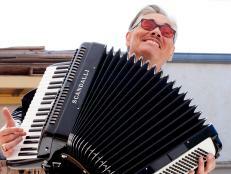 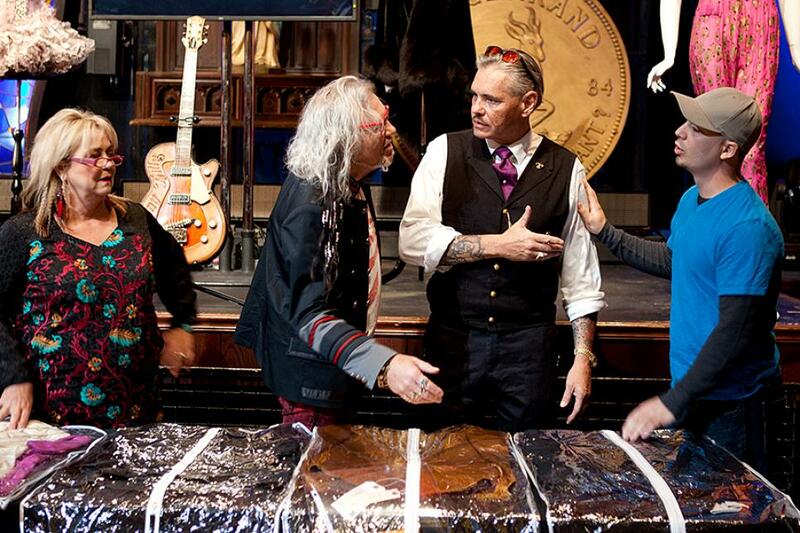 In New York City, the auction specialists spar over memorabilia from some of music's top icons. 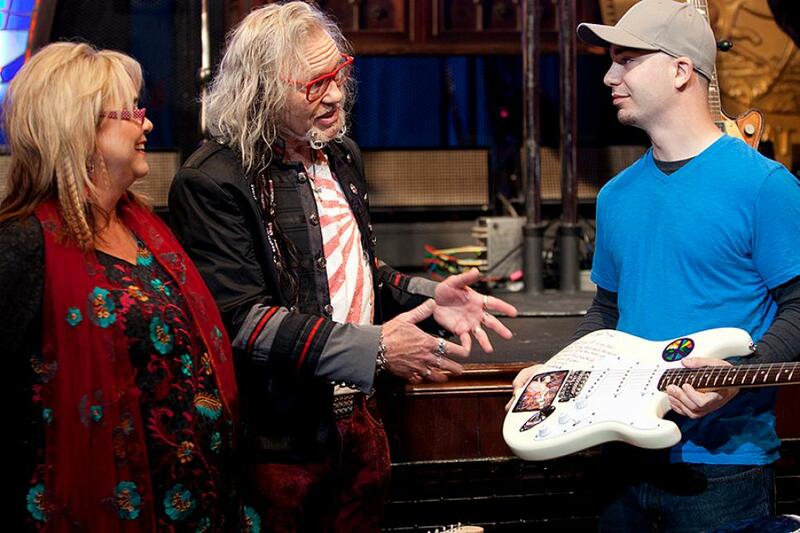 Laurence and Sally Martin, and Mark Meyer discuss a signed guitar from The Jimi Hendrix Experience band that will go up for bid at the auction at the Hard Rock Cafe in New York City. 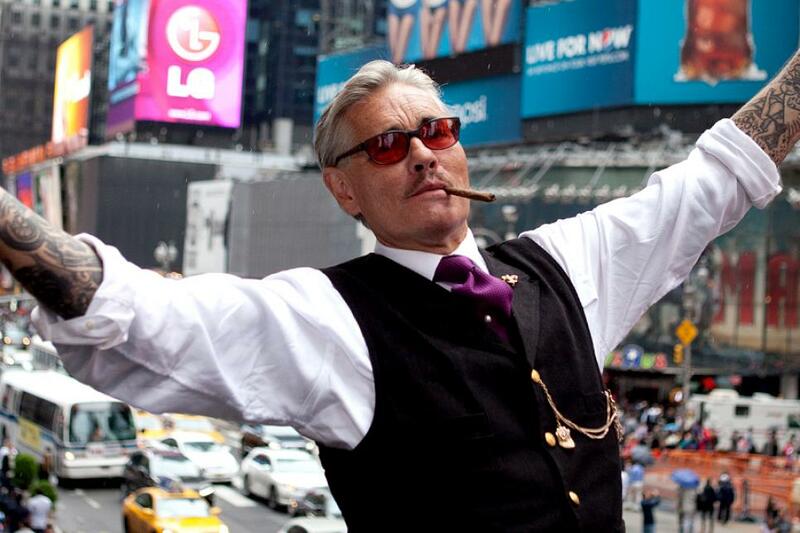 Before the auction at the Hard Rock Cafe in NYC, Billy Leroy takes a moment to collect himself in Times Square. 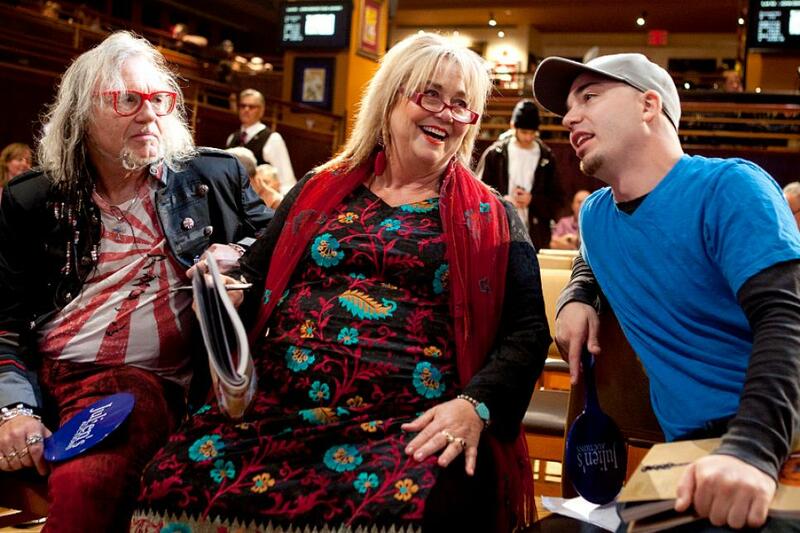 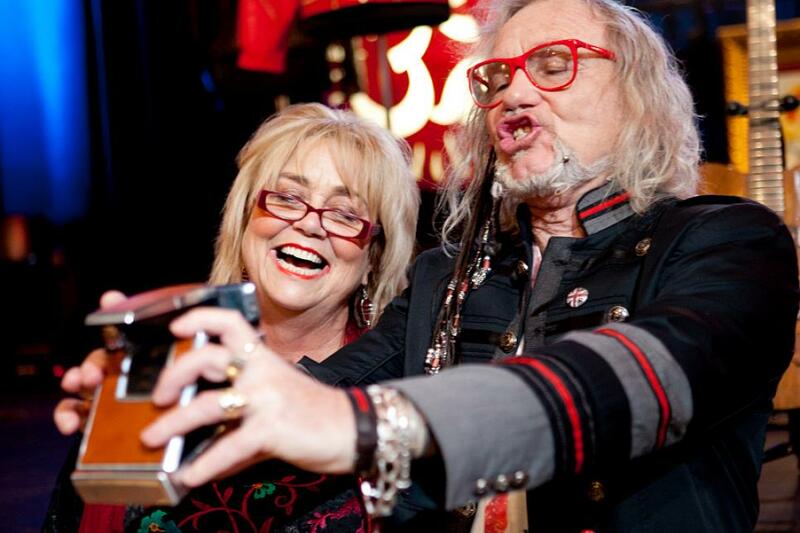 An old camera draws Sally and Laurence's attention during the auction preview at the Hard Rock Café. 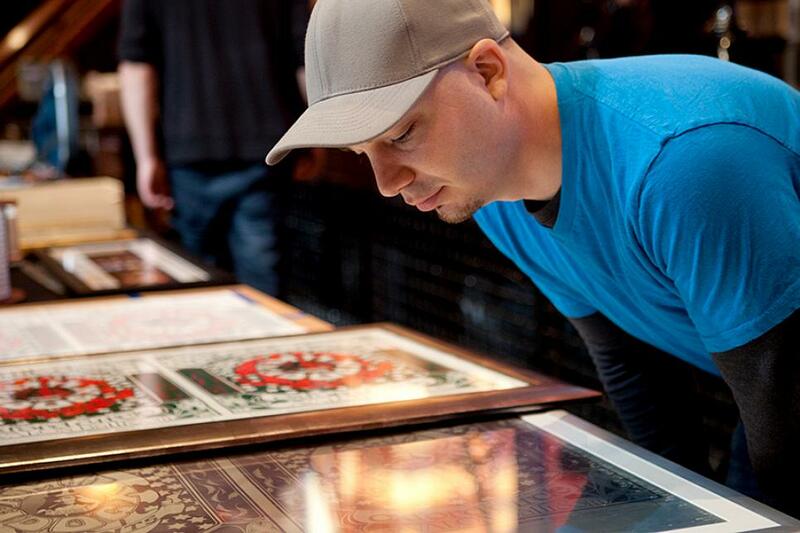 Mark examines prints generated from a pair of Grateful Dead printing plates that will soon go up for bid. 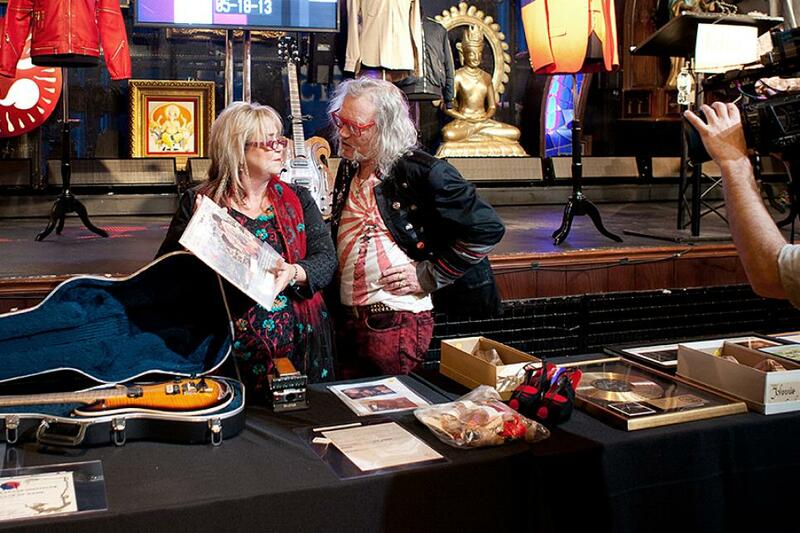 Laurence and Sally check out an autographed Woodstock album signed by members of several bands during the auction preview at NYC’s Hard Rock Cafe. 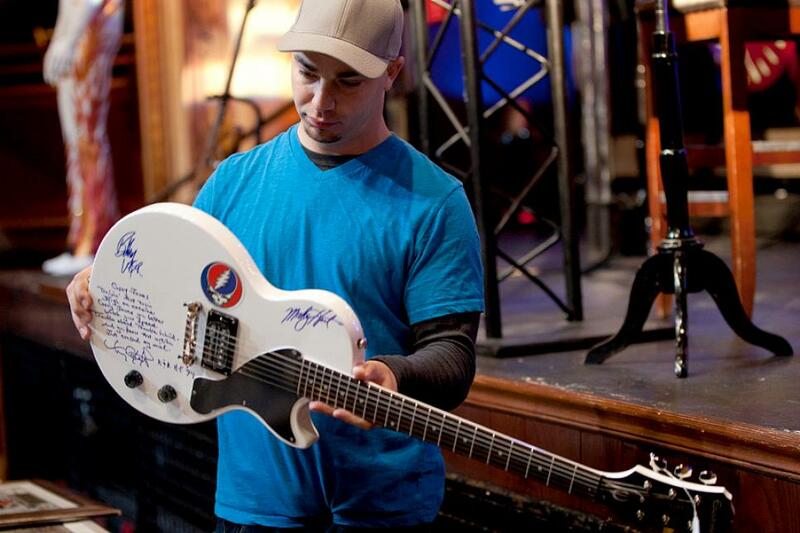 Mark checks out a signed Grateful Dead guitar that's one of the many items up for sale during the auction. 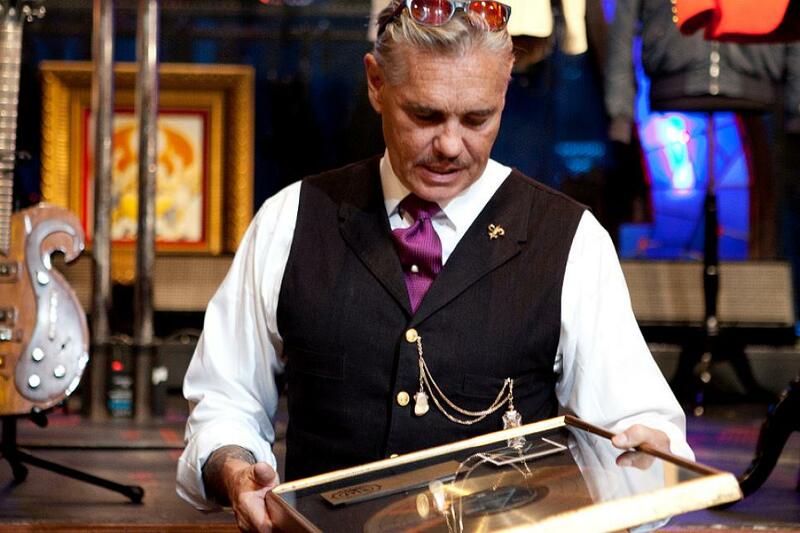 Billy examines a gold record copy of Pink Floyd's The Dark Side of the Moon and considers a bid during the auction preview. 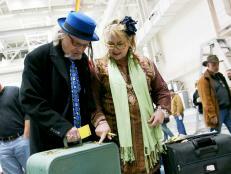 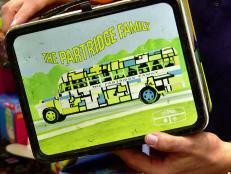 Laurence and Sally give the once-over to a Partridge Family lunchbox, one of many items that will soon be up for bid. 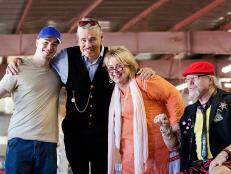 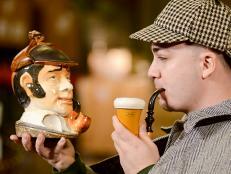 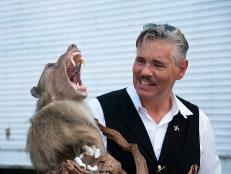 Laurence emphasizes a point as he and the other buyers discuss the variety of offerings at the auction. 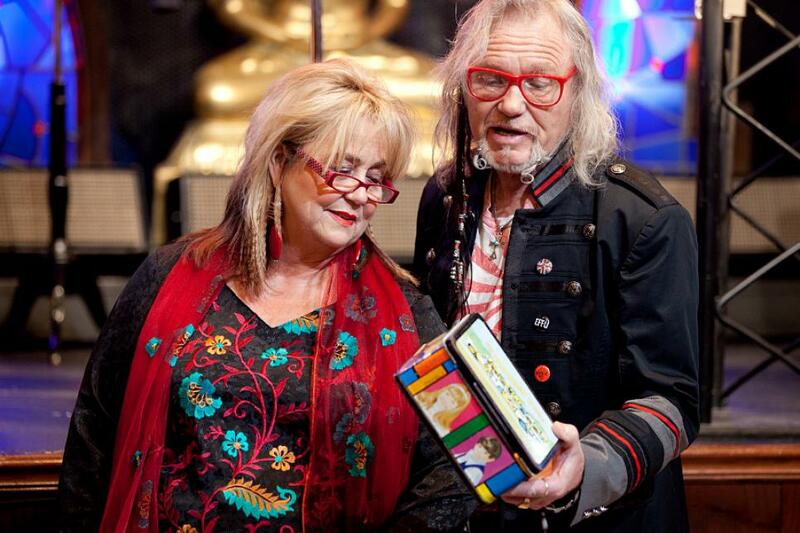 Laurence eyes Mark suspiciously as he and Sally discuss the auction. 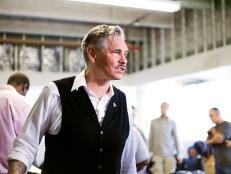 The auctioneer steps up to the podium as the crowd gathers to bid during the auction. 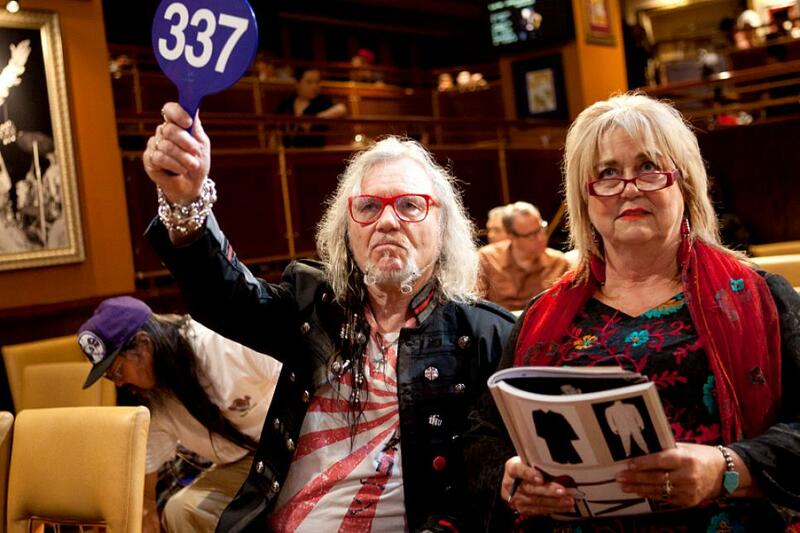 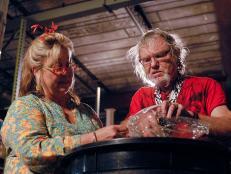 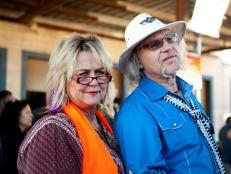 Laurence scowls as he aggressively bids, and Sally waits expectantly for a big win during the auction. 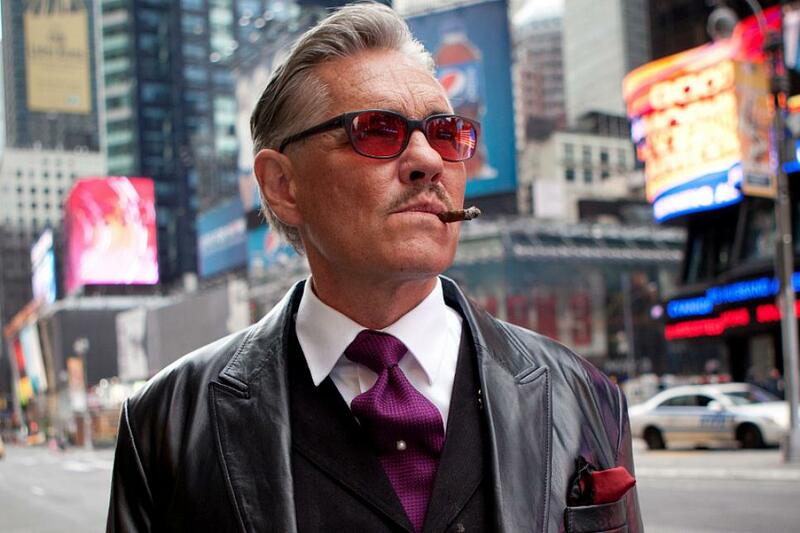 He loves NYC! 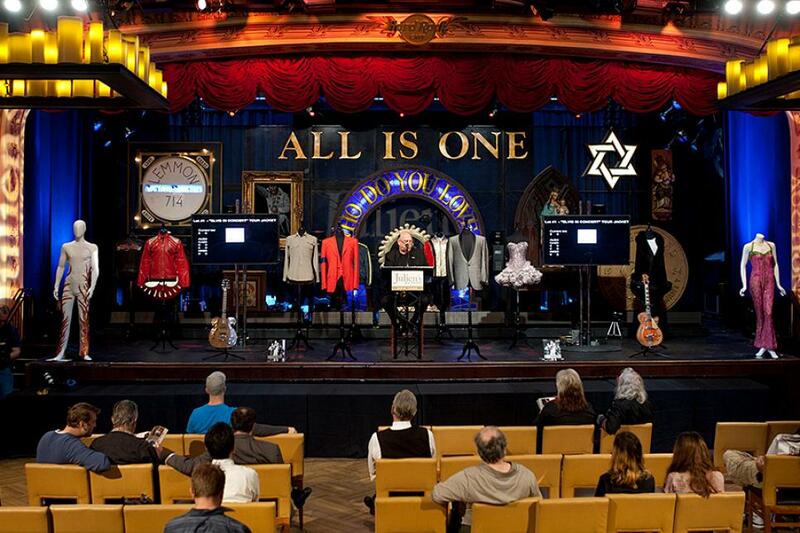 With Times Square as his backdrop, Billy prepares to review the items he won at the Hard Rock Cafe auction. 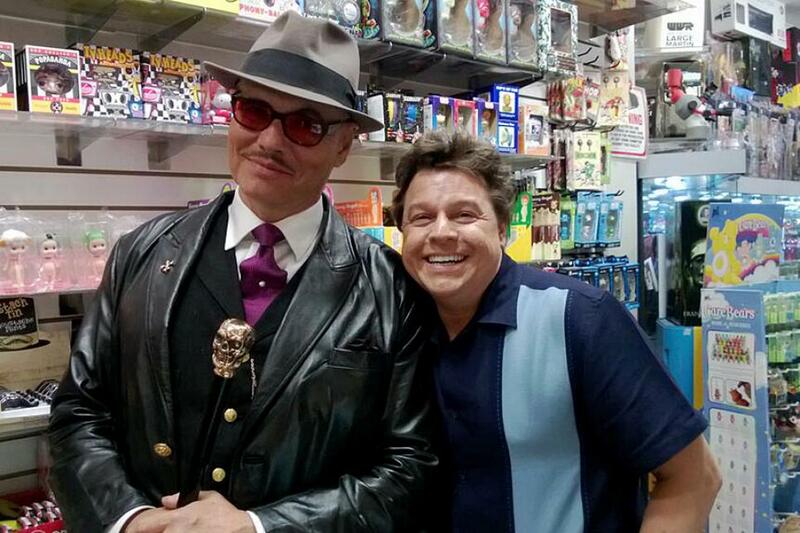 Billy and Jordan Hembrough (Toy Hunter) smile for the camera. 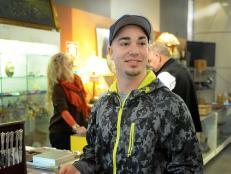 Jordan appraised one of Billy's auction wins.